When you look at long term fat loss, it’s the foods you eat Monday-Friday that make the biggest difference, NOT on the weekends! If you are eating at a slight calorie deficit each week (ie. burning more calories than you are eating), you will lose weight. First and foremost, you need to figure out your goal. With the goal to burn 2% body fat, but maintain my lean muscle. 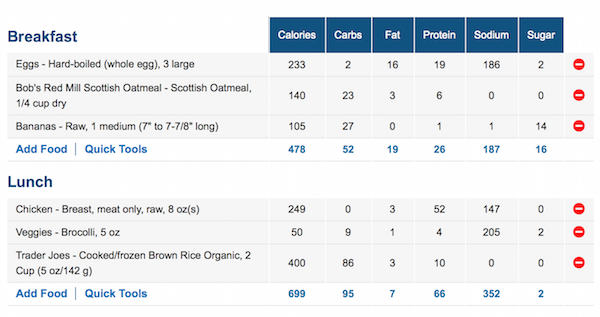 I use the calculator at If It Fits Your Macros to calculate my caloric needs. 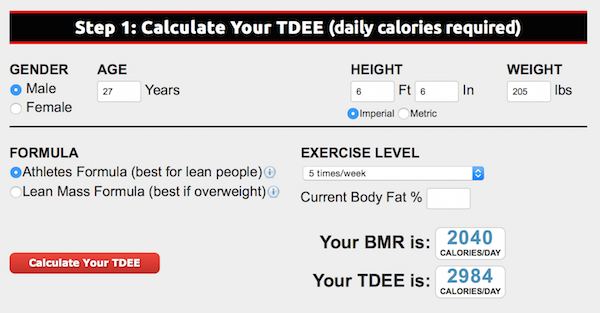 As you can see my TDEE (total daily energy expenditure or total calories burn) based on my lifestyle is 2,984. That means, if I want to maintain my weight… This is the amount of calories I’d need to eat. With my goal of losing 2% bodyfat, I’ll need to lower the calories a bit so I am in a slight caloric deficit. I will only be lowering them by 250 per day because my goal is not to lose weight, rather lose body fat. I use MyFitnessPal.com for tracking what I eat. If you can stick with one-food ingredients throughout the week and hit your calories count, you will be well on your way to losing weight. 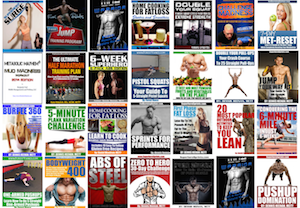 Click here to check out Diet Free Weekends <= Eat WHATEVER you want every weekend and still burn fat! P.S. Like anything with dieting and weight loss, everyone is a bit different. So I recommend testing things out for a few weeks to see what works best for you. If you aren’t losing weight or burning fat, you need to cut more calories OR eat cleaner foods. P.P.S. I mentioned above.. If you have 10+ pounds to lose, I recommend starting with “Aggressive” for 4 weeks to accelerate fat loss. Then bump the calories up for 4-6 weeks.